With a stay at Tarus Bosphorus Apartments Besiktas in Istanbul (Besiktas), you'll be within a 15-minute drive of Dolmabahce Palace and Taksim Square. This apartment is 2.7 mi (4.4 km) from Galata Tower and 3.8 mi (6.2 km) from Grand Bazaar. Make yourself at home in one of the 12 air-conditioned rooms featuring minibars and LCD televisions. Complimentary wireless Internet access keeps you connected, and satellite programming is available for your entertainment. Private bathrooms with showers feature complimentary toiletries and hair dryers. Conveniences include phones, as well as safes and complimentary newspapers. With a stay at Bonne Sante Hotel, you'll be centrally located in Istanbul, steps from Istiklal Avenue and 3 minutes by foot from Taksim Square. 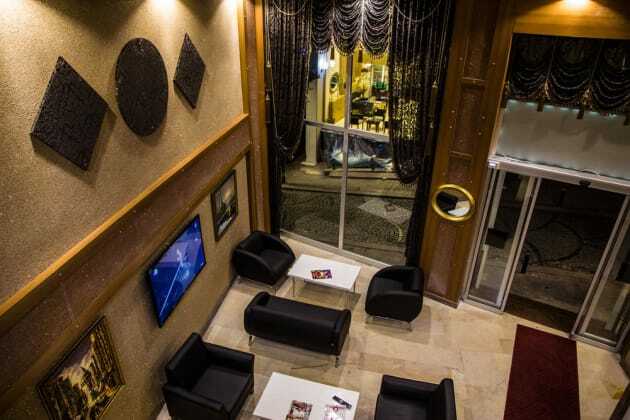 This hotel is 0.6 mi (0.9 km) from Pera Museum and 1.3 mi (2.2 km) from Galata Tower.